Heard of sucker’s bets? Those are bets in which you’re pretty much guaranteed to lose, or in which the house has a ridiculous edge. Bets like Big 6 or 8 in craps. Bets like taking insurance in Blackjack. Bets like going to war in Casino War. 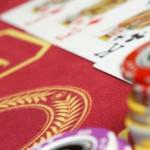 Some argue that all casino bets are sucker’s bets because, well, the house always wins. But casinos do pay out big time if you know where to look. And while there are sucker’s bets to stay away from, there are also near-sure bets, wagers that give you the best odds and give the house the lowest edge. Today, we’re going to walk through five of them. 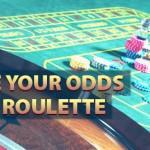 When it comes to 50/50 bets, you can’t get any closer than Roulette evens and odds bets. This is definitely one of the most sought out bets for any casino games enthusiast. You’ve got 18 even numbers and 18 odd numbers, so your chances of hitting a winning number are almost 1 in 2. Why not quite 1 in 2? Well, that’s because the 0 and 00 don’t actually count as an even number, so your odds of hitting a win are 47.37%. The Even/Odds bet in Roulette is still a pretty good bet, and anyone that knows a bit about house edge matters understands that these odds are basically as good as it gets. 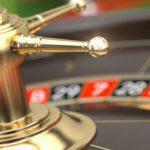 Evens and Odds isn’t the only bet at the casino that gives you great odds. Any bet that divides possible outcomes in two is just as lucrative and can certainly feel as less of a loss, if lady luck is not working on your side. The truth these bets are fair. For example, betting on Black or Red yields the same odds as betting on Evens and Odds is another great way to go and it can truly work to increase your bankroll for other games. And so does betting on the first 18 numbers or the second batch of 18 numbers. Try ’em out and let us know how you did. If you can find a European Roulette game at a land-based casino or online, you’re better off playing that over the American version. That’s because while American Roulette has 38 numbers, including 1 to 36, 0, and 00, European Roulette has just 37 numbers. There’s no double zero in the European version, so it means better odds and less of a house edge, and as we mentioned before, you always need to find games that give better odds and not so much house edge. Always keep in mind that casinos are businesses and they need to profit. Imagine turning $1,000 into $2,500 in one shot. That’s what would happen at the Blackjack table if you actually hit a Blackjack and taht is exactly why this is one of our favorite games: easy, classy and exciting. Now imagine not hitting a Blackjack but still beating the dealer. That $1,000 would be worth $2,000. More money going your way with just hit. 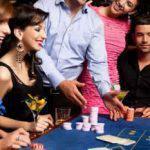 Playing Blackjack is actually one of the safest casino bets around. The house edge is around 2%, so even if you’re not very skilled at Blackjack, you could win big. 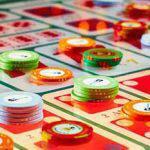 Betting on the Pass Line while playing Craps can be extremely lucrative with the right amount of money in play. The bet comes with odds that are essentially 50/50 and pegs the house edge at just 1.4%. If you bet on specific numbers, you might have more fun. But you’ll also end up boosting the house edge in the process, so you might want to stay away. Want to test out these bets and see what kind of results you yield? 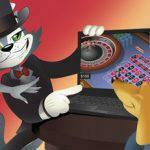 Play at CoolCat Casino and try your luck. 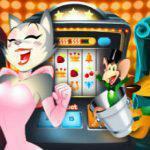 Remember, when you sign up for an account at CoolCat, you can play as many casino games as you like for free without risking a dime. So sign in and have fun. You might discover your new favorite bets along the way.